I recently re-discovered a memoir on my bookshelf. 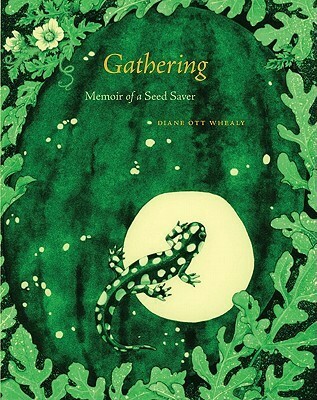 I was drawn to Gathering: A Memoir of a Seed Saver mostly because of the author’s roots. Diane Ott Whealy grew up in rural Iowa, and relates fond memories of its countryside and culture. The agrarian history of thriftiness and neighborliness is nostalgic and enchanting. In Whealy’s childhood, as in many areas of the United States during that time, large gardens and livestock were maintained as a matter of necessity. Saving seed was commonplace and economical. The practice of saving seed exemplifies the more humble sense of economy felt during that time. In The Unsettling of America Wendell Berry argues that modern economic thought is reflected in today’s homes. Whereas in Ott-Whealy and Berry’s youth the home was a place of production as well as consumption, the standard American home is only a site of consumption. Consumption engages the economy of money, but disregards the economies of land and energy. Homesteading communities engage in these more tactile economies every day, as they live with the results of their practices, gathering those seeds, promoting connectedness of process and product, use with replenishing. A home-based agricultural economy trusts in and heeds the economy of the land. Place matters to this economy. Weather and soil type and community all make a difference. This is especially true in seed saving, as varieties are shaped through selection to thrive in specific regions and climates. The modern American home instead has no response or ties to place. It is only a symbol of status and leisure. If Berry’s discussion of appropriate economy didn’t get me thinking about E.F. Schumacher, certainly this quote would have, “….as a society, we have abandoned any interest in the survival of anything small”. When asked by a friend the best political action to fuel revolutionary economics, Schumacher said, “…my suggestion would be to plant a tree”. Certainly, investing in your home as a site of production, saving seeds in your backyard, and rethinking economies is incredibly important, especially to personal well being. But is seed saving sufficient politics? I had a nagging question the whole time I was reading Ott Whealy’s memoir: What about commercial agriculture? A bit about Gathering. Ms. Ott Whealy founded the Seed Savers Exchange, the biggest heirloom seed collector in the country, with her husband in 1975. (In their basement! At one point they housed 4,000 bottles of over, 1,200 varieties of beans!). The organization has since grown into a diverse network of over 13,000 members who grow, save, and exchange thousands of endangered seed varieties every year. Seed saving preserves biodiversity, reinvigorates memories and cuisines, carries on family traditions and rural culture, promotes food sovereignty, and works towards “closing the loop”. The values, sentimentality, and community around the practice are also very powerful, but I’ll leave that to Ott Whealy’s passion and humor. SSE produces an annual yearbook with information about all the growers and their varieties, which are available for trade. They also sell seed online, maintain a hugely diverse demonstration farm, and host community-building campouts. Saving seed on a commercial vegetable farm is next-to-impossible, if not hugely impractical. Twice the staff and twice the land area would be required. Many plants are easily cross-pollinated and varieties have to be covered when flowering or planted acres apart from one another. If covered, the plants must be hand-pollinated. The fruits have to be harvested at a specific time and allowed to cure or dry, the seeds extracted and properly stored. Labeling is, of course, crucial. Farming and selling vegetables is hard enough in and of itself. I can’t imagine also worrying about growing our own seed. There would be a lot of risk involved. What if the seeds don’t store well or the beets mold in the root cellar over the winter? (Beets are biennials, meaning they flower every other year. To harvest seed you must pull them, keep them happy through the cold months and replant them out in the spring.) Saving (and finding new seed varieties) is a huge job, as Ott Whealy will tell you. The varieties we grow are constantly changing depending on pest pressures, customer preferences, and convenience. We want hybrids as well as open-pollinated crops because folks like big beef tomatoes and we like tomatoes that are late blight resistant. We use pelleted lettuce seed so our eyeballs don’t explode. Sometimes we buy non-organic seeds because the trusted and tasty varieties are not always available organically. We also keep an eye on the price tag. Heirloom and organic seeds can add up fast on a large scale. Despite the impracticalities of seed saving, I’m sure many commercial, locally-focused, sustainable vegetable farms buy into the idealism of saving seed. We live by the humbling economy of the land. We are intimately connected to place. We are the queens of thrift. 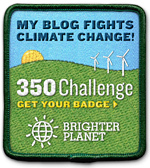 How can we hold on to and promote seed saving without participating? This type of question comes up a lot in the food movement: How to promote, re-invigorate, and protect the more appropriate practices of the past, while also reshaping them to accommodate today’s economy, the farm economy, and customer preferences. How can commercial operations be true to ideals of the past and thrive in today’s world?